Former Motorhead and Fastway guitarist “Fast” Eddie Clarke passed away on January 10 at the age of 67 after a battle with pneumonia. 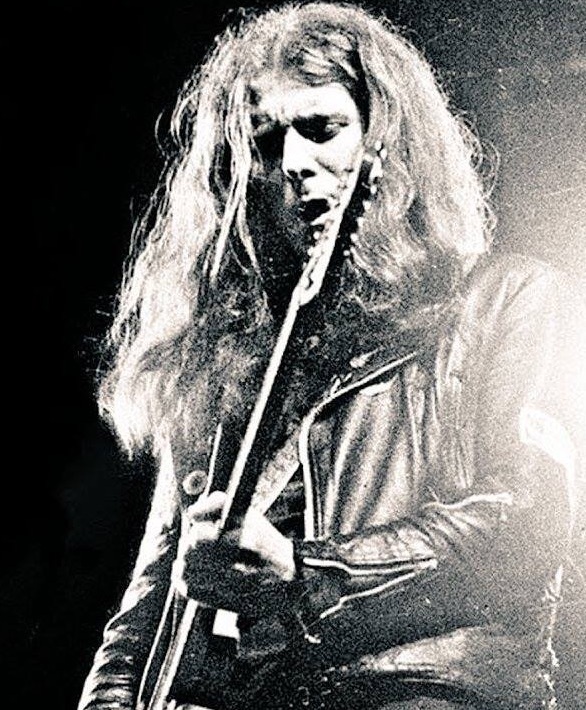 “We are devastated to pass on the news we only just heard ourselves earlier tonight...Edward Allan Clarke - or as we all know and love him Fast Eddie Clarke - passed away peacefully yesterday,” said Motorhead’s team in a statement. “Ted Carroll (who formed Chiswick Records) made the sad announcement via his FB page, having heard from Doug Smith that Fast Eddie passed peacefully in hospital where he was being treated for pneumonia. “Just heard the sad news that Fast Eddie Clark has passed away,” stated guitarist Phil Campbell. “Such a shock, he will be remembered for his iconic riffs and was a true rock n roller. RIP Eddie." “Oh my f**king god, this is terrible news, the last of the three amigos,” added drummer Mikkey Dee. “I saw Eddie not too long ago and he was in great shape. So this is a complete shock. Me and Eddie always hit it off great. I was looking forward to seeing him in the UK this summer when we come around with the Scorps…now Lem and Philthy can jam with Eddie again, and if you listen carefully I’m sure you’ll hear them, so watch out!!! My thoughts go out to Eddie’s family and close ones." Clarke left Motorhead in 1982 and formed Fastway a year later with fomer UFO bassist Pete Way; after adding singer Dave King and former Humble Pie drummer Jerry Shirley, Way was forced to quit the group before the recording of their 1983 self-titled debut when he was unable to get out of a contract with Chrysalis Records. Clarke and Fastway would release six albums before disbanding in 1991; they regrouped in 2007 for live performances and issued “Eat Dog Eat” in 2011. The guitarist reunited with Lemmy and Taylor to perform their 1980 classic, “Ace Of Spades”, during a 2014 show in Birmingham, UK. Taylor passed away at the age of 61 from liver failure in November of 2015, a month before Lemmy died from prostate cancer, a cardiac arrhythmia, and congestive heart failure at the age of 70.